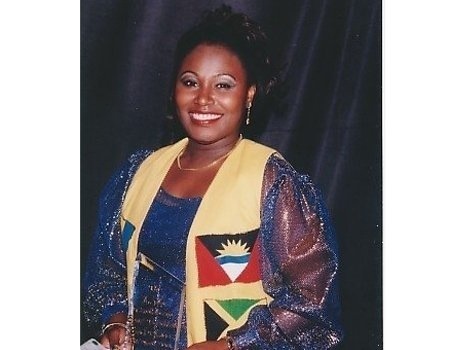 Were she still alive, Barbadian calypsonian Carolyn “Tassa” Forde would have turned 44 today. I originally wrote the following tribute when she died in 2011. I am reposting now on the occasion of her birthday. Happy birthday Carolyn! Continue to sleep sweetly, my friend. You are sorely missed. The late Barbadian calypsonian Carolyn “Tassa” Forde. To me she was Carolyn. Not because we were bosom buddies or lifelong friends or even socialized often together. In fact, we were none of those things. Yet, to me, she was more than Tassa the entertainer: gifted singer, charismatic calypsonian. To me she was Carolyn because we shared a mutual admiration and respect for each other. So on a wintry Thursday when my mother called from Barbados to say, “I have some sad news; Tassa, the calypsonian died last night,” I screamed, “Oh no, not Carolyn!” I could not help it; I cried. It’s with bittersweet feelings that I write this piece. As I type, I’m sitting in my “window seat” on a Jet Blue aircraft, which took off from the tropical shores of my beautiful homeland Barbados to return me to my adoptive home – exciting, but wintry New York City. Moments ago, as the blinding sun beamed through this tiny window, I squinted to get my final glimpses of paradise, clicking away on my iPhone camera to preserve each image for posterity. Even after almost a decade, every time I leave Barbados, I cry. Yet, I am always eager to embark on the new adventures the Big Apple has to offer. This was my most emotional “home for the holidays” trip. Much of my time was spent with my immediate family, visiting relatives, dear friends and long-lost friends. Not that I don’t usually do so, but it featured more prominently on this occasion, with me limiting my usual attendance at countless social events. I reunited with people I had not seen in 10, 15 and in some cases almost 20 years. I met new additions to my family or friends’ families – children born since I moved to New York. I connected in person with Facebook friends who have now become friends, ran into former journalistic colleagues who’ve been promoted or have changed jobs, and saw folks that I’d almost forgotten. 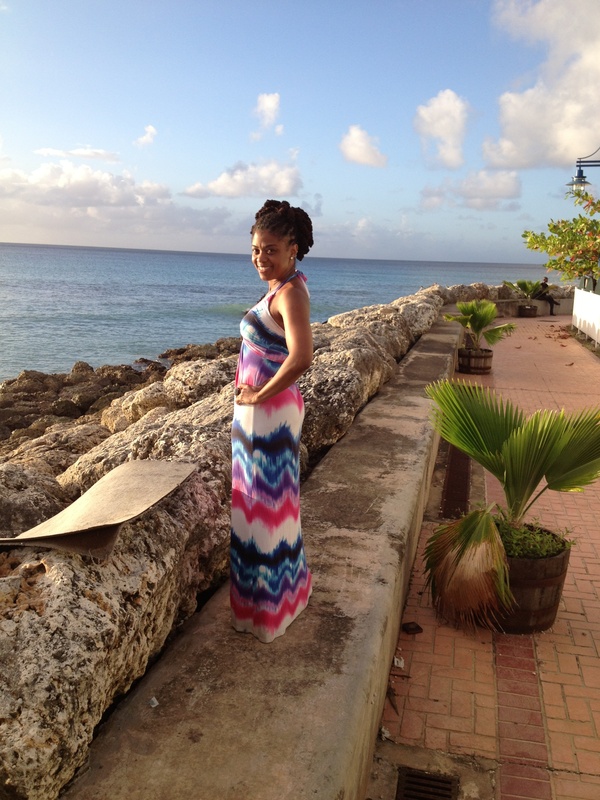 Enjoying the view from Speightown boardwalk, Barbados. I was warmly welcomed into the home of my first boyfriend’s parents; his mom still keeps a framed photo of me. One of my best friends and his wife took me out to an exclusive event, another drove me around the island showing me all the developments that have been taking place in my absence, others invited me over for lunch, dinner and even to stay over, and some took the trek to rural Barbados through potholes, sparsely lit streets, along cane fields and off the “main road” to my mom’s house just to see me. There are many stories I can write about these “reunions” and over time I probably will, but the one I’ll share with you today is when for the first time in 15 years, I saw my favorite teacher from secondary school (high school). For each of us, I’m sure no memory of that pivotal period of our lives is complete without the thought of at least one teacher who in some way positively impacted our lives. As a student at Louis Lynch Secondary (formerly Roebuck Secondary School), there were a few teachers I admired, who helped mold me into the person I am today, but there’s one only one I called my favorite teacher. His name is Addison Cadogan. Mr. Cadogan was my Social Studies teacher. He taught me from first form – age 11 – until my graduation. I could go back to those early years and tell you why Mr. Cadogan holds such a special place in my heart, but I have a more recent memory that will show you why! As the holiday cheer heightens and the countdown to 2013 draws near, I find myself reflecting on my journey from Barbados to New York and the remarkable progress I’ve made over these past few years. I first wrote about the start to what has become an incredible chapter in my life during my Magazine Workshop – a capstone class in the master’s degree I earned at Columbia University Graduate School of Journalism. The class was taught by editor extraordinaire of The New Yorker, John Bennet, who had assigned us to write personal essays. For me, sharing this particular slice of my life was somewhat cathartic. My classmates and I read to one another our respective stories – all of which portrayed some challenge we had to overcome. Almost every narrative evoked tears. Today, I’ll expand my audience beyond the classroom to include you. This piece is an excerpt from the book I have yet to complete on my life story. I’d love to hear your feedback. This past April, I wrote the hardest piece I have ever had to write. It was my Uncle Moses’ eulogy. Moses was my favorite uncle and one of the dearest people to my heart. He succumbed to cancer of the liver at age 51, less than a month before his birthday. But his was not the first eulogy I wrote, nor was he the first loved one I lost. I have lost too many loved ones to count. Death is never an easy thing to handle, especially for someone as sentimental as me and as a person who loves HARD. 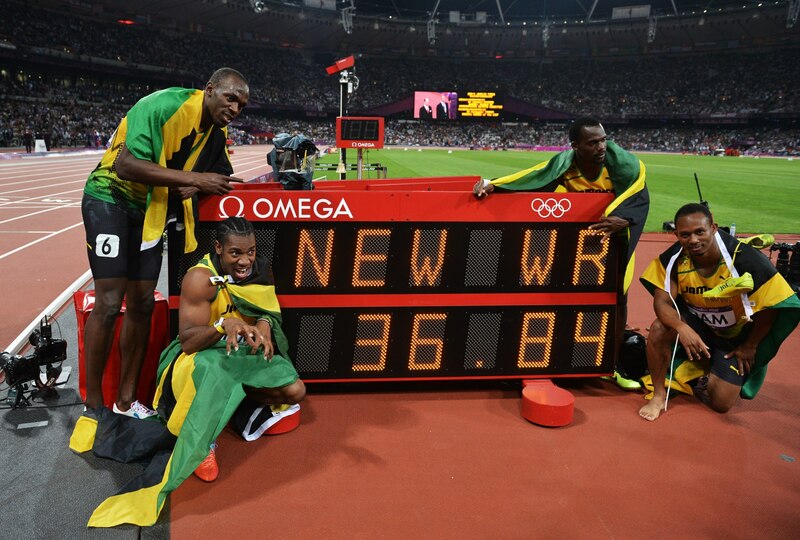 Jamaica’s World Record 4x100m relay team. I am unapologetically patriotic to the Caribbean – the region where my grandparents, parents, most of my relatives, closest friends, and I were born. But I love this country in which I live and the opportunities it has afforded me, both to develop in every sphere of my life and to contribute to this nation. I am beyond grateful for the blessings that have flowed along my arduous journey since moving to New York almost a decade ago. It’s a place where I have no relatives, a destination I emigrated to from Barbados with nothing more than a dream to further my education and advance my career as a journalist. I began life anew in this big city with my last penny in my pocket and my haven, the only life I knew – thousands of miles away on a tiny island in the heart of the Caribbean Sea. The one thing I am most proud of is my Bajan Brown Sugar. If yours were as sweet as mine, you would be boasting too. Even as a little girl, I knew I was blessed with something special and over the years, many men and even women have lauded me on this priceless asset. Their actions alone indicate how they feel, but they further reassure me with words like “what you have is a true treasure.” It’s amazing the things they all do for me – just because of my Bajan Brown Sugar.